We've all procrastinated before. Maybe it was for that unpleasant project that had to get done at work or those leaves you had to rake in the yard. If you live in a hurricane zone, it's tempting to procrastinate on storm prep, especially if the season is still months away. This is especially true if money is involved, like when you are deciding whether to buy a backup generator or not. Sometimes, you just feel like chancing it and saving a few hundred bucks. Or, you think, "I'll just buy a generator right before the storm hits." However, when it comes to hurricane prep, procrastinating on buying a generator can come back to bite. 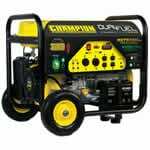 Generators are in short supply immediately before or after a hurricane. At that point, everyone wakes up to the fact that they'll need power once the storm knocks out the utility. The result is a mad rush to the local hardware store, which quickly runs out of generators. If you're not in front of the line, you're left in the dark. 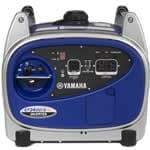 Fortunately, online retailers like Electric Generators Direct are still there for you and will have generators available. The problem then becomes not availability, but logistics. Shipping companies will often stop service to hurricane zones to protect the safety of their drivers. Obviously, airplanes cannot fly through a hurricane, so air shipping is out. So, you will most likely have to wait until after the storm to get your hurricane generator. In the meantime, you're stuck in the middle ages without electricity. This can be especially difficult in the deep south where heat and humidity will keep you sweating without air conditioning until your generator ships or utility power comes back on. The solution to this? DON"T PROCRASTINATE! If you plan ahead, you’ll be able to keep your cool while everyone else is panicking. Get your generator several weeks or months before hurricane season, which is roughly June through November. Hurricane generators come in three basic styles: Recreational, Portable, and Standby. Small and compact, recreational generators can produce between 800 and 5,000 watts of power and are designed for camping and outdoor activities. They are also great for short power outages if you want to prevent food in your fridge from spoiling or to power a small table fan. However, they’re not designed for serious hurricane relief. They don't come anywhere close to being able to power a central air conditioner, and their run times are extremely limited. Unless it's a really minor storm, you will probably want to invest in a larger generator. Portable emergency generators produce between 1,000 and 17,000 watts, enough to power multiple rooms in your home. If you want to power your air conditioner, the largest portable emergency generators will technically do it, but we don't recommend this. Keep in mind also that air conditioning is hardwired so you can’t plug it into your generator. Your electrician will need to install a manual transfer switch to connect your generator with your electrical panel. This is another reason not to wait for the last minute. Good luck finding an electrician to come out to your home two days before a hurricane to install a manual transfer switch. Maybe Uncle Bob will do it, but if he's not a licensed professional, you lose the warranty if something goes wrong. If the size and installation of a portable emergency generator is beyond your budget, you can always purchase a smaller portable generator and simply plug it into a window air conditioner instead. 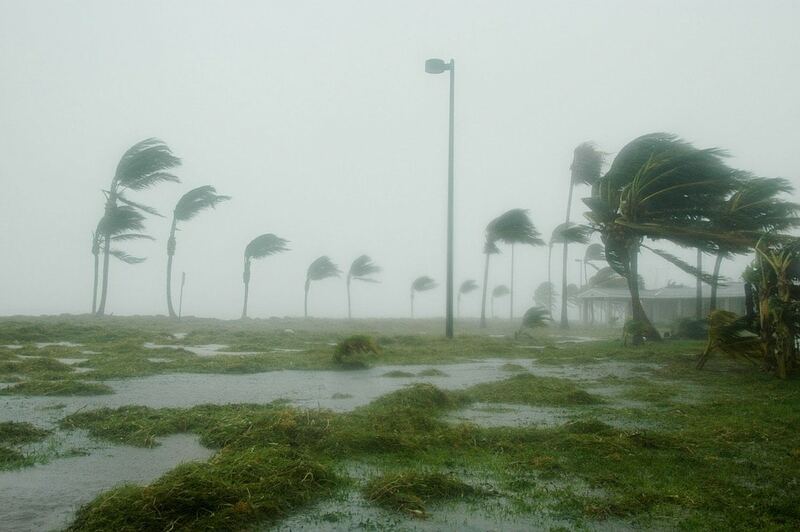 Standby generators, which produce between 6,000 and a whopping 59,000 watts of power, are the ultimate hurricane solution. First, they’re automatic. While you’re evacuating, your generator will keep your security system and mission-critical appliances working. They will also operate for days, as long as you have a stockpiled fuel source. Second, they’re powerful. Standby generators have the strength to power central air conditioners, so you can return to a cool home. A 14-kilowatt standby generator will power a 4-ton central air conditioner. A 17-kilowatt model will run a 5-ton central air conditioner. Standby generators provide the ultimate level of power security during a storm, but they aren't for procrastinators. It takes time to get a standby installation approved by your municipality and then installed. You can't order it a couple of weeks before the storm and expect it to be up and running in time. The time to protect yourself and your family for a hurricane's aftermath is now. Have a family emergency disaster plan ready, and be sure to include power backup. 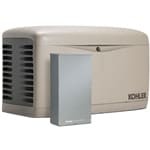 Which type of backup hurricane generator you choose is up to you. Just don't become stuck at the mercy of the power company after the storm because you put off preparing for too long. Don't wait to get a backup hurricane generator. Expert advice on how to pick the perfect hurricane generator before the storm strikes.